Private joint-stock company Darnitsa pharmaceutical firm (Kyiv) saw a rise of 38.3% in assets in 2015, to UAH 2.245 billion. The company's shareholders plan to approve the financial annual report and the new regulations at a general meeting scheduled for April 6. As reported, on March 20, 2015, an auction was held where Kyiv City sold its 30% stake in public joint-stock company Research and Industrial Center Borschahivka chemical and pharmaceutical plant (Kyiv) for UAH 171.844 million. 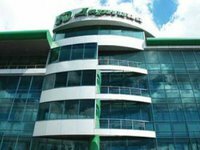 The financial company Kub, which represents the interests of Darnitsa pharmaceutical company, bought the stake. The Antimonopoly Committee of Ukraine in January 2016 permitted private joint-stock company Darnitsa Pharmaceutical Firm (Kyiv) to acquire over 50% of share in the plant. However, Borschahivka chemical and pharmaceutical plant said that the plant is not holding negotiations on the sale of a controlling stake in the company and the company has attracted international advisors to receive recommendations on defining the value of the enterprise and protecting it from unfriendly actions.